If you are the kind of person with a do-it-yourself attitude, congratulations! Throughout your life, things must have been a lot simpler, with little need of anybody else’s input, advice or help. Not being dependent on anybody is important, but it can only be reserved for a small set of circumstances. For example, when it comes to needing a doctor or a lawyer, you want to make sure you place your life incapable, qualified hands; A doctor will be able to perform a surgery correctly, while a lawyer will be able to give you the representation you deserve. For example, if you break your arm, you wouldn’t go at it alone. For one, if you don’t know the correct processes, the result could be disastrous. This is no different when it comes to any legal proceeding — if you don’t know what you are doing, you can suffer some major consequences. 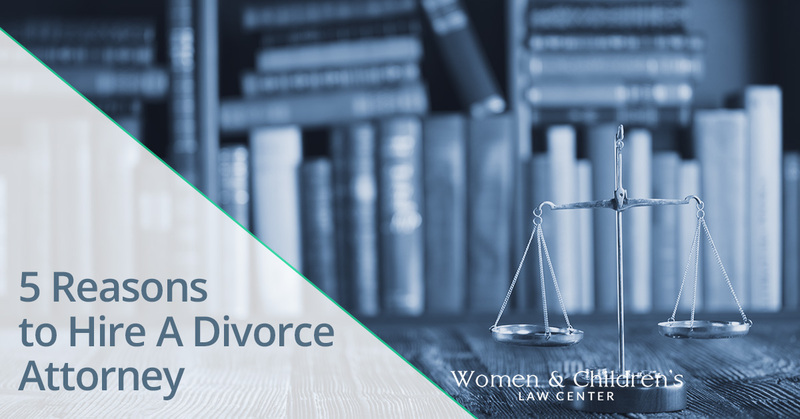 In this blog, we will discuss some of the reasons a divorce lawyer can be helpful. When it comes to divorce court, you will want someone on your side. A divorce attorney is the best way to represent your case in an eloquent way, to get the results you want. Divorce court is a jungle — complex, unfamiliar, and final. One wrong move and the court could reach a final decision that could make your life significantly more difficult. When you self-represent in court, you are putting your life, the life of your children, and all the power of the case to the judge and the opposing lawyer. No matter how civil you will claim to begin your case, divorce court can naturally become a battlefield. If you are not legally prepared to defend yourself, you may be left in the dust on certain issues. Worse, if you are the only spouse without representation, you could feel alone, outnumbered, and unprepared in court. A divorce attorney is purely with you during your proceeding to offer you advice and help you follow the proper court-protocol. In divorce court, there are certain lessons of etiquette that you must complete in order to not annoy the judge. For example, how you address the court, how you present information, and how you represent your own point of view, are all vital to your case. If you don’t know how to represent yourself appropriately in any of these matters, the judge might be less likely to sympathize with you. Divorce attorneys are also adept at being able to give off a good impression to judges. You may have heard your whole life that a first impression isn’t always the best way to judge someone. Unfortunately, in some cases, a judge has only a few interactions with the plaintiff and defendant. This means, that you only have a few chances to speak your case and prove that you are deserving of what you are asking him/her to rule on. If you don’t have a great track record with first impressions, a lawyer will be able to portray your case in a way that is more pleasing to the court and the judge. Having an objective partner throughout the process of your divorce is crucial for more reasons than one. For instance, a lawyer will be able to be a third party in your case. Which means they have no self-interest in the property of the case. However, just because your lawyer isn’t necessarily losing property or rights in the case, they are equally interested in winning your case and getting you what you desire most. Though the benefits are different between you and your lawyer, the motivations are similar — win the case. Having an objective party in a divorce case can also be a huge benefit to you. How? Well, for anyone who has been in a divorce, or has known someone who has gone through one, they will know that it is no walk in the park. Divorce cases can escalate quickly and go from an uncontested divorce to a full-fledged battle in a small number of minutes. Due to the emotional roller-coaster of divorce, having an attorney on your side can be a huge asset. When your life, property, even your kids are on the line, you can become irrational, jaded, and cruel. With a family law attorney in your corner, you will be able to have a stable, calm voice, ready to settle you down before you do or say something that you’ll regret. Having a person on your side during a divorce case can be a great support system for you as well. With your lawyer, you will be able to see your own case objectively and regain a sense of clarity. In past blogs, we have brought to your attention that the world of divorce law is much more complex than you would think. There are many ways that your case could go, and if you aren’t aware of them, you may end up with a court decision you are not happy with. If you have a lawyer, however, they will be able to inform you of your possible options for child custody, property, and financial legal decisions. For example, if you have children, your case will become increasingly complex and intense. When children are involved in a divorce proceeding, there are always going to be added factors, such as custody, alimony, even child visitation rights. Because of this, having a professional legally represent youmay give you the competitive edge you need in court. Also, having a lawyer’s expertise may inform you of alternate methods to your divorce that will make it easier for everyone involved. There are many alternative solutions to child-custody. Most assume that custody is either “full or equal” and that is the only way to share time with your child. But actually, child-custody is phenomenally complex and can involve alternate options, such as on-and-off days, selected weekends, unorthodox living situations, and so on. Having a family law lawyer might help simplify these types of custody options, so you can choose the one that is right for you and your family. Divorce, though it involves court appearances, includes a remarkable amount of paperwork as well. Because of the importance and complex language used in most legal documents, having an attorney to explain each document in simple ways for you to understand can be extremely valuable. More importantly, divorce lawyers are accustomed to divorce papers and know the process for completing a divorce case. With your own lawyer, you will be told what to file, when to file it, and how long the whole separation process will take. It can be easy to get lost in the process of divorce. For one, you can become distracted with little points of contention between you and your ex-spouse. For example, most separating people will squabble over small pieces of property, such as china, tables, appliances, furniture, and even electronics. They will lose sight of the important legal battles at hand and resort to arguing over small things that don’t matter. A lawyer will be able to pull you out from fighting with your ex and help you regain focus on what is truly important, such as your major finances, your home, and of course, your children. If you are interested in legal representation that is sure to get you the results that you want, contact Women and Children’s Law Center of Oklahoma City. We have talented, professional family law attorneys that are here to help you through this difficult and complicated time. If you are looking for a divorce lawyer in Oklahoma City, contact our firm today!